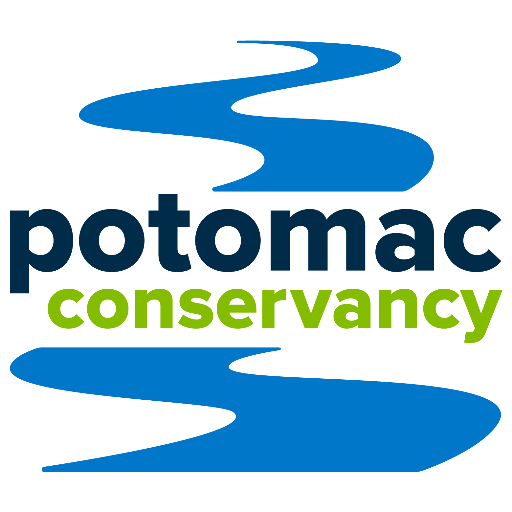 Founded in 1993, Potomac Conservancy drives the region’s clean water movement by providing the tools that empower local landowners, activists, volunteers, partners, donors, and all river champions to lead the charge for clean drinking water, healthy lands and safe access to the Potomac River. Our charity of the month works one-on-one with private landowners to protect forested and open space lands in the headwaters regions, provides resources to ensure our working lands are both productive and river-friendly, builds a vibrant and diverse river constituency in targeted counties to advocate for, and mobilizes thousands of volunteers in hands-on restoration efforts to raise awareness, inspire action and empower our friends and neighbors to make a difference in their communities. For each almond creme cupcake (vanilla cake topped with almond frosting + toasted almonds) sold this month at Sticky Fingers, we’ll donate $1 to support Potomac Conservancy. Eat cupcakes for charity! 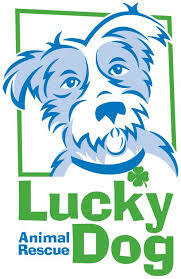 Lucky Dog Animal Rescue is a volunteer-powered nonprofit dedicated to rescuing homeless, neglected, and abandoned animals from certain euthanasia and finding them loving forever homes, and raising awareness regarding animal welfare and the importance of spay / neuter and its role in helping control pet overpopulation. Our charity of the month works with shelter partners in low-income and rural areas where hundreds of highly adoptable dogs are euthanized each month, as well as rescues dogs from the meat trades in Thailand and South Korea, from the streets of Kosovo, and displaced by natural disasters in the Caribbean. For each almond creme cupcake (vanilla cake topped with almond frosting + toasted almonds) sold this month at Sticky Fingers, we’ll donate $1 to support Lucky Dog Rescue. Eat cupcakes for charity! KaBOOM! 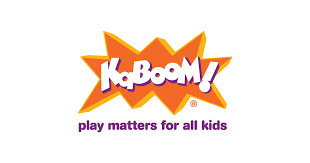 is the national non-profit works to bring balanced and active play into the daily lives of all kids, particularly those growing up in poverty in America. Our charity of the month does this by creating great places to play, inspiring communities to promote and support play, and driving the national discussion about the importance of play in fostering healthy and productive lives. KaBOOM! has built, improved, and opened more than 16,700 playgrounds, reaching more than 8 million children. Active bodies give way to active minds. 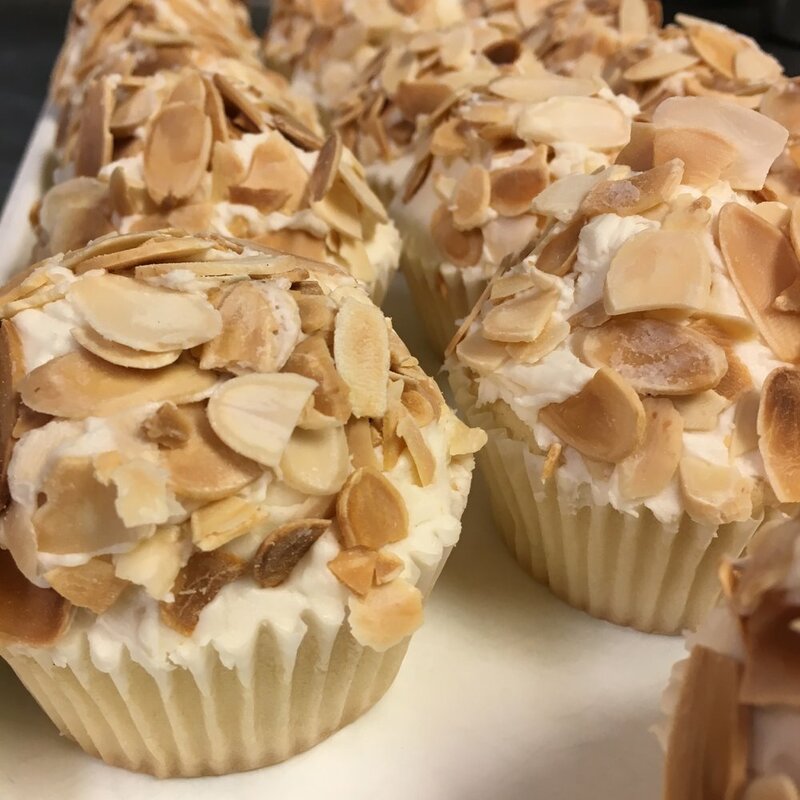 For each almond creme cupcake (vanilla cake topped with almond frosting + toasted almonds) sold this month at Sticky Fingers, we’ll donate $1 to support KaBOOM!. Eat cupcakes for charity! A crime victim’s suffering has a ripple effect on the family, friends, neighborhood, and the larger community. Without a coordinated effort to address the victim’s needs—legal, mental health, security, housing—the victim can, and often does, feel helpless. Network for Victim Recovery of DC aims to change the impact of victimization by providing holistic, comprehensive services to victims of all types of crime in DC. Our charity of the month empowers victims to achieve survivor-defined justice through a collaborative continuum of advocacy, case management, and legal services. NVRDC also runs the advocacy portion of the city's Sexual Assault Nurse Examiner Program, providing crisis intervention and case management to all sexual assault survivors in the District seeking a forensic medical exam. For each almond creme cupcake (vanilla cake topped with almond frosting + toasted almonds) sold this month at Sticky Fingers, we’ll donate $1 to support NVRDC. Eat cupcakes for charity! Founded in 2016, the Asylum Seeker Assistance Project is the first and only nonprofit dedicated to serving the estimated 25,000 asylum seekers living in the greater D.C. area. These men, women, and children come to the United States because of circumstance—not choice. ASAP’s mission is to support their safety, stability, and economic security through a variety of services such as a job readiness training program, “Know Your Rights” workshops, and connections to volunteers in the local community. For each almond creme cupcake (vanilla cake topped with almond frosting + toasted almonds) sold this month at Sticky Fingers, we’ll donate $1 to support ASAP. Eat cupcakes for charity! The YWCA National Capital Area is dedicated to eliminating racism, empowering women, and promoting peace, justice, freedom, and dignity for all, and provides women and their families with the necessary programs that foster independence, economic stability, and overall well-being. The vision of our charity of the month’s work gives rise to young leaders who are self-aware, socially conscious, community advocates who are committed to achieving personal success and to make the world a better place. For each almond creme cupcake (vanilla cake topped with almond frosting + toasted almonds) sold this month at Sticky Fingers, we’ll donate $1 to support YWCA NCA. Eat cupcakes for charity! Moms Demand Action was founded in response to the devastating shooting at Sandy Hook Elementary School and has quickly flourished into a leading force for gun violence prevention, with chapters in all 50 states and a powerful grassroots network of moms that has successfully brought about change at local, state, and national levels. Our charity of the month envisions a country where all children and families are safe from gun violence and organizes to apply pressure that will result in stronger, sensible gun laws and policies that will protect our children and families. For each almond creme cupcake (vanilla cake topped with almond frosting + toasted almonds) sold this month at Sticky Fingers, we’ll donate $1 to support Moms Demand Action. Eat cupcakes for charity! Since 2006, Animal Equality has worked tirelessly with society, governments, and companies to end cruelty to farmed animals and achieve its vision of a world in which all animals are respected and protected. Our charity of the month, now present in eight countries, is heralded as one of the leading farmed animal protection organizations in the world and shines a spotlight on the realities of animal agriculture through undercover investigations, corporate campaigns, political outreach, and the development of large-scale education programs. For each almond creme cupcake (vanilla cake topped with almond frosting + toasted almonds) sold this month at Sticky Fingers, we’ll donate $1 to support Animal Equality. Eat cupcakes for charity! The Latin American Youth Center’s mission is to empower a diverse population of DC-area youth to achieve a successful transition to adulthood through multi-cultural, comprehensive, and innovative programs and opportunities in academics, arts and recreation, job readiness, safe housing, and health and wellness, addressing their social, academic, and career needs. Our charity of the month’s Food & Nutrition Program enables youth to get their hands dirty in the kitchen and the garden. In its Teen Center kitchen, youth hone their cooking skills, learn how to make healthy choices about what they eat, and engage with broader food justice issues, and, in its raised bed garden, directly experience how food grows. 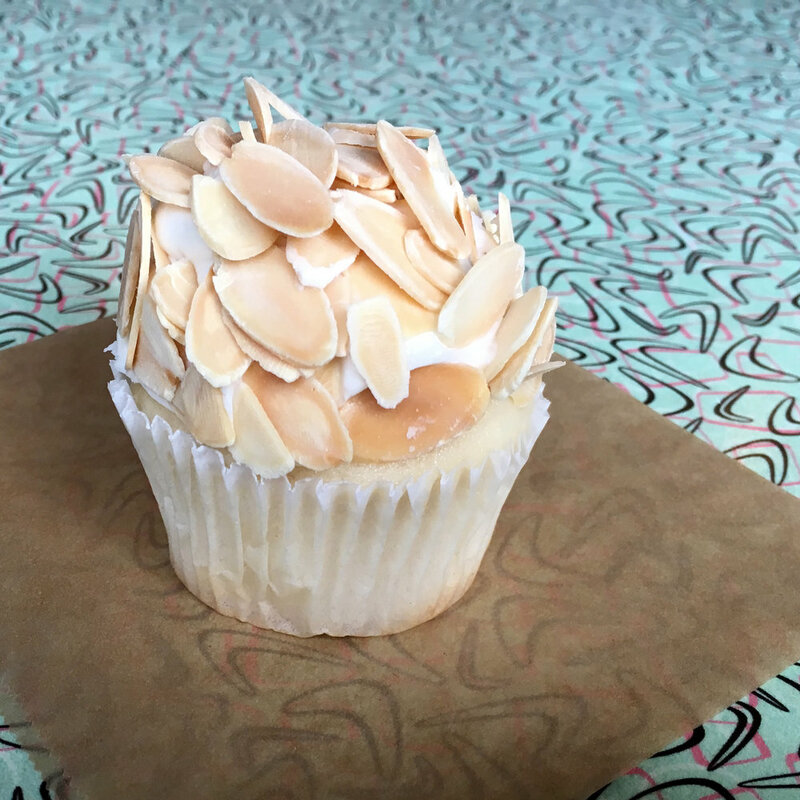 For each almond creme cupcake (vanilla cake topped with almond frosting + toasted almonds) sold this month at Sticky Fingers, we’ll donate $1 to support Latin American Youth Center. Eat cupcakes for charity! Collective Action for Safe Spaces is a grassroots organization that works to mobilize and empower people in the DC-metropolitan area to build a community free from public sexual harassment and assault. Founded in 2009 as Holla Back DC!, CASS is involved in both online and offline activism, including workshops, innovative direct services, policy advocacy, and community outreach. Our charity of the month strives for a community in which people of all backgrounds, gender expressions or identities, and experiences can feel safe occupying public spaces. For each almond creme cupcake (vanilla cake topped with almond frosting + toasted almonds) sold this month at Sticky Fingers, we’ll donate $1 to support Collective Action for Safe Spaces (CASS). Eat cupcakes for charity!